If you need some permanent or temporary extra storage space, then Eurobox Self Service Container Storage is the answer. EuroBox is ideal for small and medium companies for storage of trading goods, office furniture and archives. We also provide secure outdoor storage space for larger items such as caravans, boats and cars, and we can even arrange transport of the container to your business premises, if you don’t wish to keep the container in our yards. You will get your own individual storage container, with your own lock and key, and you can drive your car all the way to your unit. 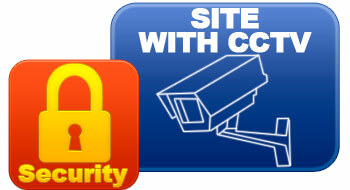 With access control you are able to access your unit 24 hours a day, 365 days a year if you wish. It works just as an extension of your own store or warehouse. We can take care of all your storage needs. All customers are welcome at EuroBox. Our friendly staff will be more than pleased to give you more information on a non-committal basis. EuroBox Self-storage: Practical, simple and secure.